DUBAI, UAE, Jan. 07, 2017 — LG Electronics (LG) at CES 2018 is showcasing superior, clearer and smarter lineup of premium audio products that promises to change the way people think about home speakers. New for 2018 is Meridian Audio’s advanced high-performance audio technology to deliver more natural and warm sound. 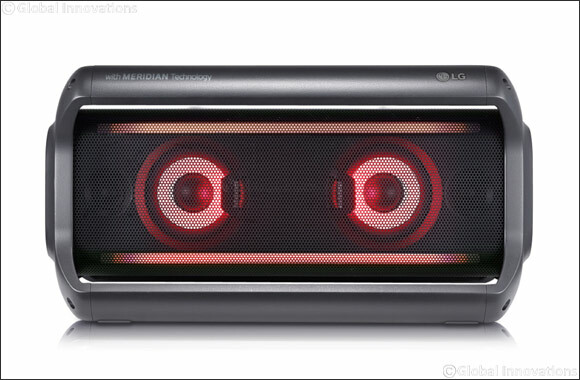 From immersive Dolby Atmos® soundbars to portable Bluetooth speakers and its latest artificial intelligence (AI) speaker, LG has something for every music and movie lover. LG’s 2018 soundbar, portable speakers, party speakers, as well as the cutting-edge LG ThinQ Speaker, should raise plenty of eyebrows at CES 2018 in Las Vegas.